Maryland Pink and Green: Lilly Pulitzer winner! Thank you to everyone who entered the wonderful Lilly Pulitzer giveaway! I appreciate you reading the blog and am so excited to watch the number followers grow. When I get to 100 followers, I’ll do another, even bigger, Lilly giveaway! After inputting all of the comments to Random.org, a winner was selected. Drumroll please! Congratulations to Let the Tide Pull Your Dreams Ashore who is the lucky winner of the Lilly Pulitzer One, Two, Three Lilly Pad in Patchtastic! Please send your address to me so that I can send this notepad in the mail to you ASAP. Thank you to everyone who entered! I love to share my love of Lilly Pulitzer and all things preppy with all of you. 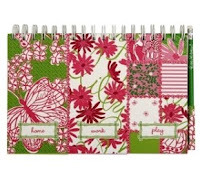 Please help me grow to 100 followers for another great Lilly giveaway!